Occasionally, you may have the need to block an influencer. 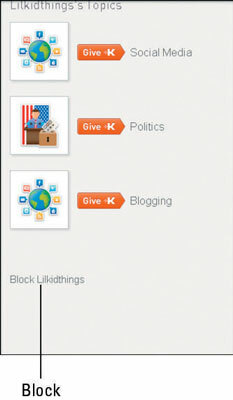 When you block an influencer in Klout, he or she can’t view your profile. 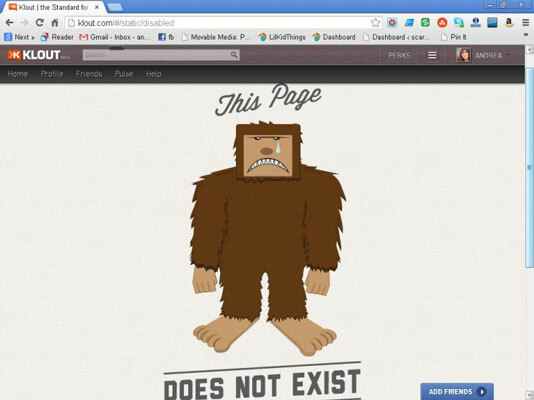 Instead, when the blocked user clicks your name, a screen appears saying, “This page does not exist.” Likewise when you block another influencer, you will no longer be able to view his or her profile and will see the same error message. 1Search for the influencer using the search bar at the top of your screen. A page opens with a list of users. 2Select the user you wish to block. Scroll down until you see the words Block and then the name of the user located below topics of influence in the left sidebar. The font is a lighter color than the rest of the text on the page. 4If you wish to block this influencer, click Okay. If you decide not to block him, simply click No Thanks, or close the pop-up using the x in the top-right corner of the box.